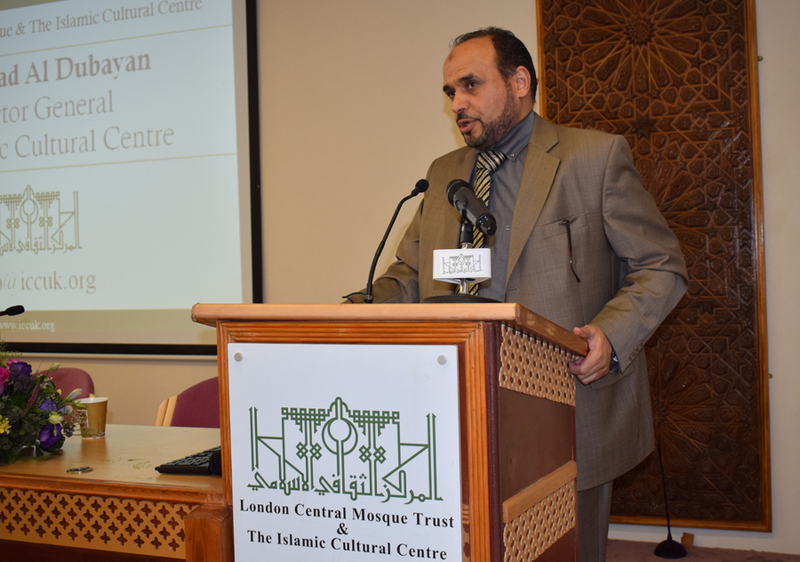 The London Central Mosque & Islamic Cultural Centre held a forum titled "Islam and the Media". 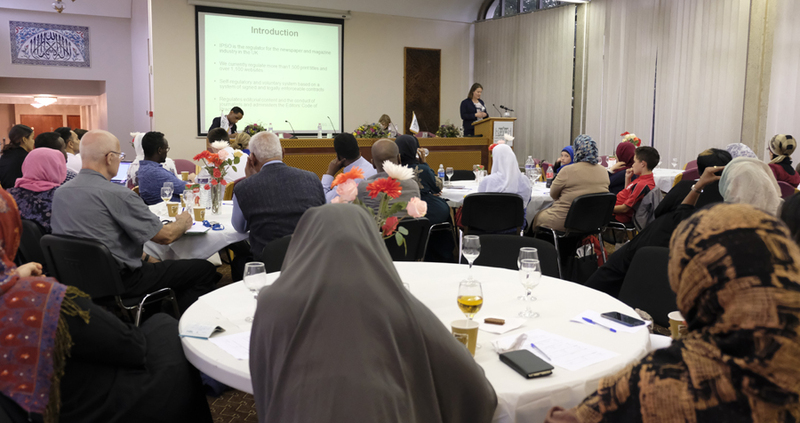 The event which was attended by over 150 representatives of Community members, civic organisations, journalists Mosques and islamic Institutions was themed at highlighting the image of Islam in the Media and the role of Islamic Organisations and individuals in shaping the true image of Islam. The Director General of the Centre - Dr. Ahmad Al-Dubayan welcomed the guests and mentioned how the topic which was being discussed today was one of crucial importance facing the Muslim community in the west. Dr. Al-Dubayan explained how media plays a potent role as social, economic and political instrument in all our daily lives. The Director General also explored how media has led to negative views on people such as Islamophobia, anti-Semitism and ethnic racial abuse; there was also an urge by Dr. Al-Dubayan to the audience to use social media as a tool in an honest and appropriate manner. Dr. Al-Dubayan stressed that people and youth can easily be misled through social media and that there was need for religious institutions to set good example in representing their religion honestly and reliably. In this, Dr. Al-Dubayan talked about ethics when using social media. Especially given the evolution of social media where Islamophobia was once just a phenomenon that was only found in written material and books to now all across social media channel. Mr. Ayaz Zuberi - Head of Public Relations talked about the Centre's role in protarying Islam in its true meaning, one of tolerance and understanding. Mr. Zuberi highlighted the growth of usage of social media by the public where the Centre has quadrupled its server to cater for the over 10 million website viewers a year. This provides huge emphasis for the Centre to utilise this channel in publishing press statements about current affairs, provide religious advice and e-services such as book distribution. 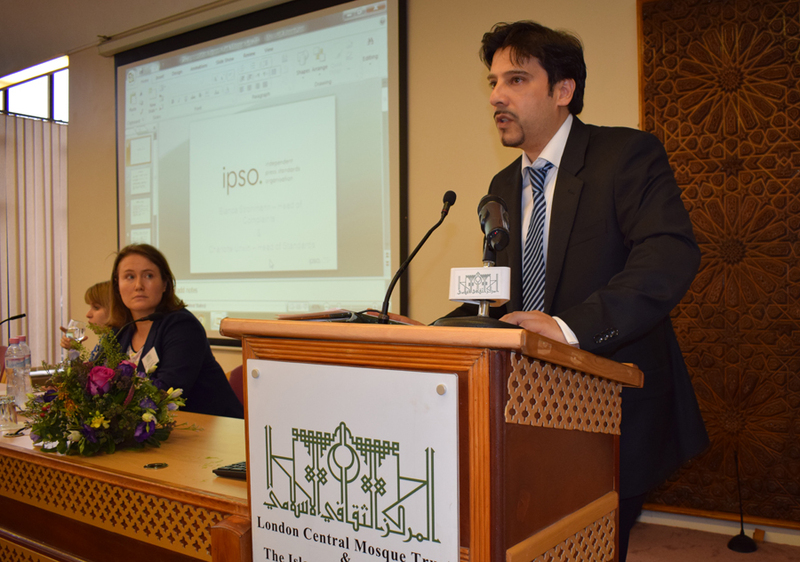 Mr Zuberi said that The Centre also participants in the Coordination Council the Council of the eight largest Islamic Centres in London in using all their social media channels to deliver the same messages to show solidarity amongst the Muslim Community through the online platforms. Moreover the centre also sends out emails to over 1200 Islamic Institutions regularly advising Mosques and Islamic organisations on current affairs for the khutbas. 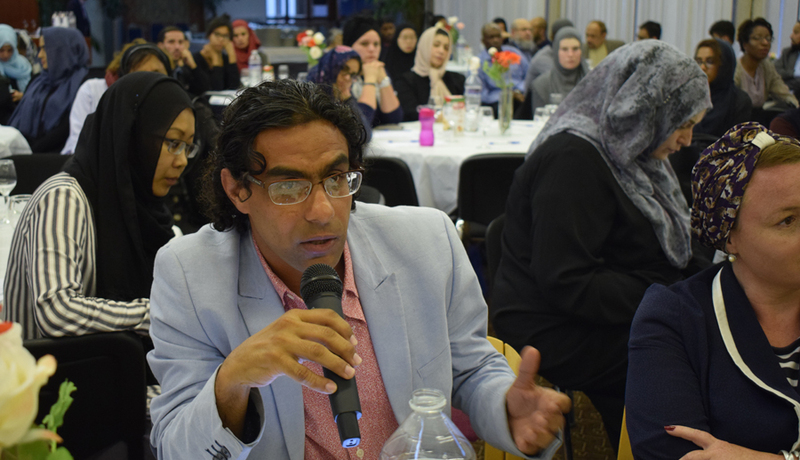 Mr. Zuberi also commented on how the Centre works closely with news agencies and journalists who play a prominent role in helping broadcast Islam correctly to the wider audience. Mr. Zuberi highlighted that media was now a fundamental building block of our society and with the Centre now using various channels of social media and now launching a mobile app there was a need to meet the demands of the community to display Islam correctly. 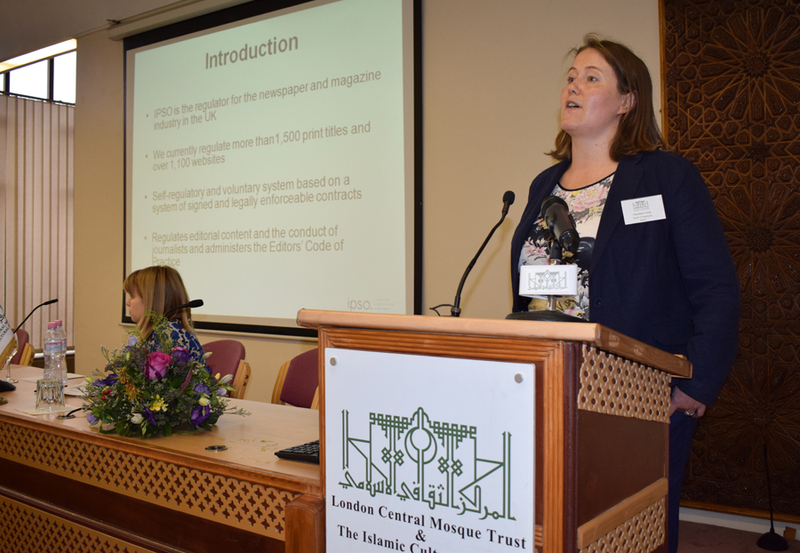 Charlotte Urwin & Bianca Strohman representatives of IPSO - Independent Press Standards Organisation commented on the role of the journalist in regulating over 1,500 printed materials and newspapers. 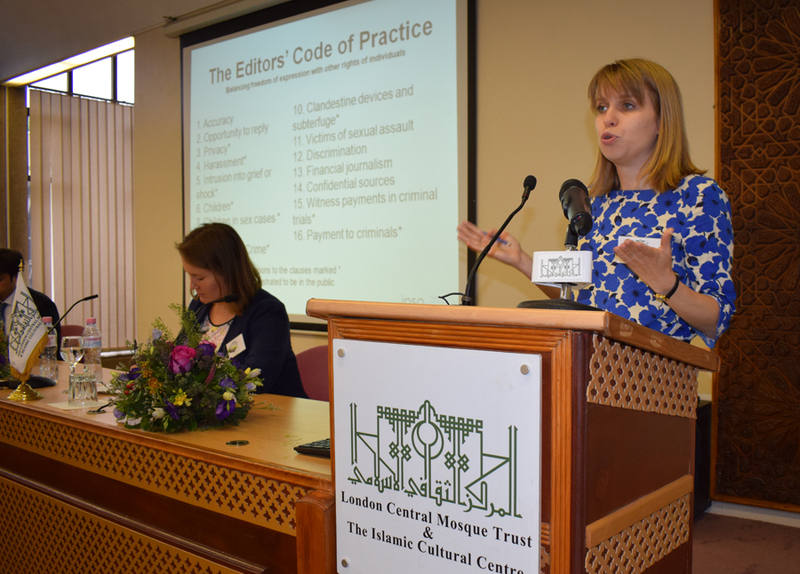 They looked at the role of dealing with complaints of abuse, harassment and advice about the editor's code. They regulatory body also offers advice to editors and journalists in a view of raising the standards and principles of the media industry whilst addressing concerns of the wider public. 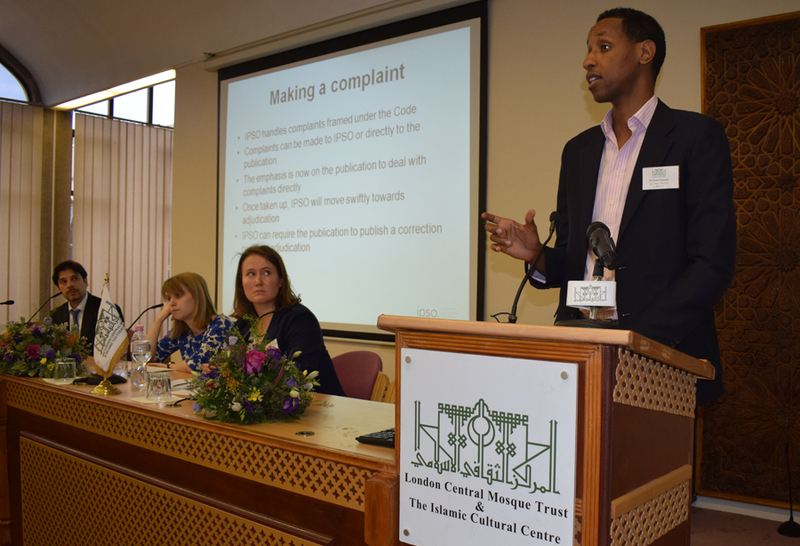 Barrister Hashi Mohamed looked at not only promoting correct values of Islam and religious values but ways of delivering the messages to audiences who do not have access to these correct values. Mr. Mohamed looked at finding compelling ways of attracting target audiences to put across influential news. The evening proceeded with a question and answer session followed by dinner. Participants filled in questionnaires and put across recommendations to the Centre which will be addressed by the administration.